The Hardenbrook Hardwoods story began in 1983 with a popular line-up of handmade cutting boards, knife blocks and free-standing butcher blocks. While Eric ran the shop, Kerry drew on her years as an artist to refine designs and help with sales. As a result, the business did well until a recession and the birth of two awesome children demanded a more steady source of income. 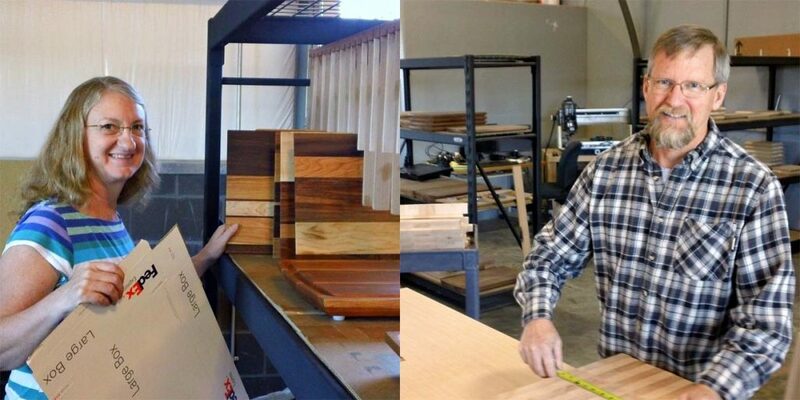 The decision was made to close the shop and Eric took a job making adhesives for Oregon’s wood products industry. Then, in 1989, the family packed up and left Springfield for the high desert of Bend, where Eric became a general contractor. After 20 years of building homes and several years as an internet marketing consultant, it was time for a change. Hardenbrook Hardwoods reopened in the spring of 2015 and has been delighting customers ever since. 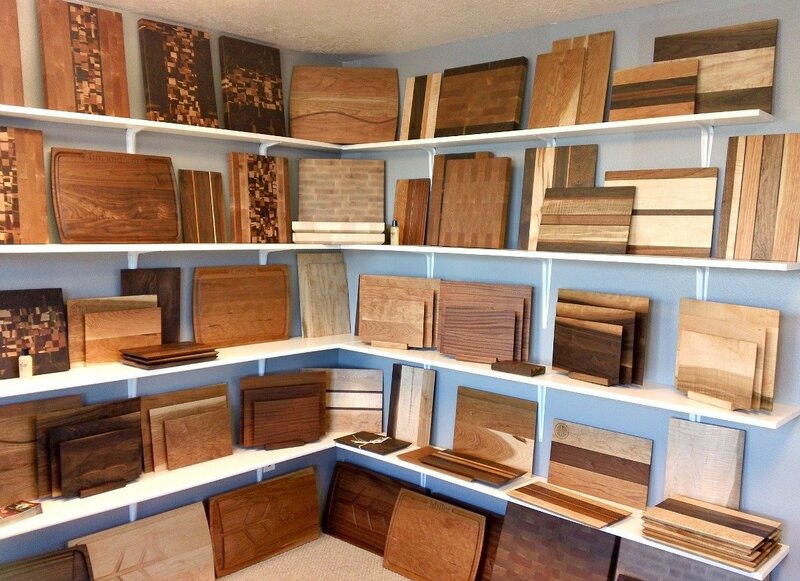 Far from being just another wood shop, we make personalized cutting boards that will be used for generations. Home builders and Realtors use our boards to keep their brand “top of mind” with their clients and, generate referrals for years. Families often engrave a friends name on the front and a simple message from you on the back to create a memorable gift for weddings and housewarmings. Our efficiency results in orders shipping within a week or less and we’re proud of our attention to detail. In between cutting board orders we make beautiful counter tops, restaurant tables and creative, one of a kind custom items. If you’re blessed with the opportunity to visit Bend, stop by and say “Hello”. We’re just off Hwy 97, next to the county fairgrounds and would love to meet you.